Turns out oysters need parental oversight. Before last year, my most common encounter with an oyster was as its consumer. I enjoy them as the delicacy for which the Chesapeake Bay is known. Then in 2016 I became aware of the importance of oysters for our environment and together with my boyfriend Jordan, we became parents: parents to an oyster spat. 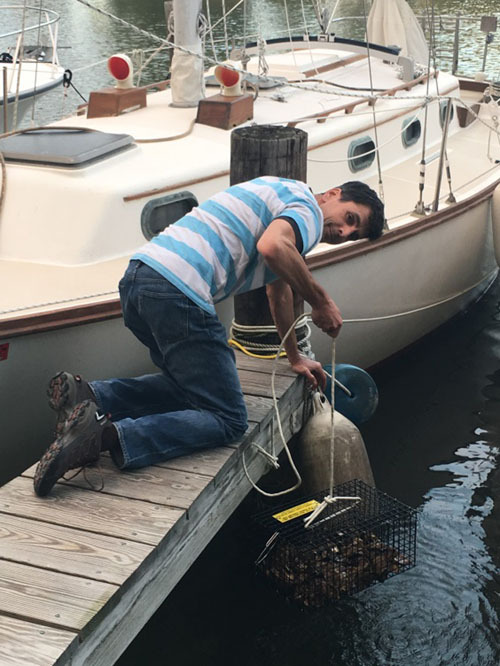 Jordan and I have a sailboat near Annapolis, and we appreciate the Bay for the precious treasure it is and engage in several volunteer environmental projects. Oysters are an essential natural resource as they filter water and their reefs invite marine life to be its home. 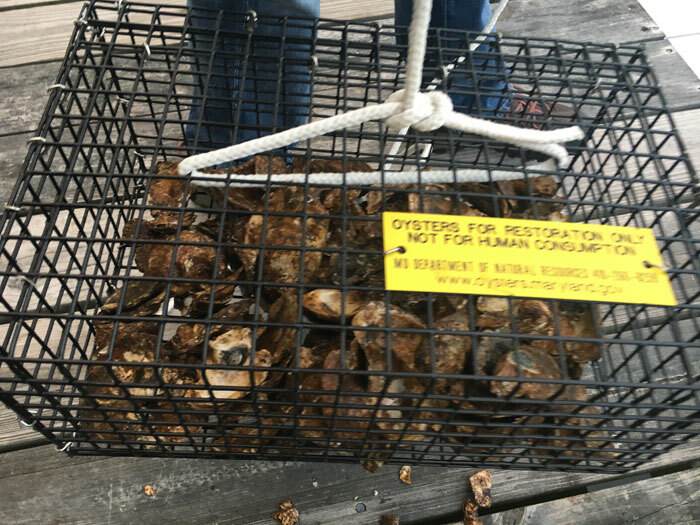 The oyster population on the Bay has been declining for a period of time but efforts have been made to change this trend. The good news is that it’s actually ridiculously easy to play a role in oyster population revival. Adopt! There is pretty much no paperwork, and it is great fun. 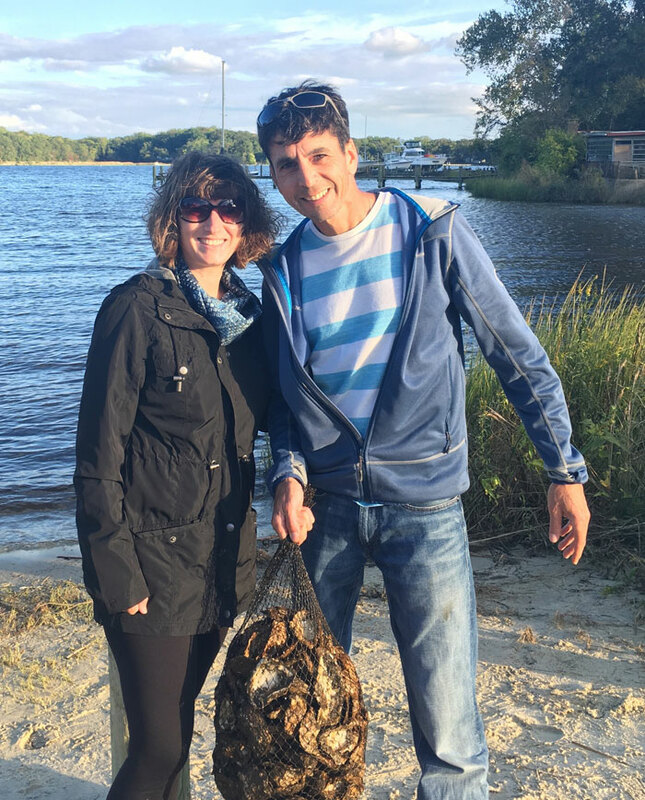 Jordan and I got in touch with members of the West/Rhode Riverkeeper and showed up at a site to pick up two cages and a bunch of oyster shells on which spat prospers and grows strong. The spat are a good bunch; they hang out by our dock and we check on them from time to time. This citizen-driven effort is a cool thing. It’s like having a mini oyster reef right next to our boat. Oysters, unlike human children, are grown up in about three years. That is when they are planted on sanctuary reefs sprinkled throughout Maryland waters. While I do, from time to time, still enjoy a nice treat of oysters, I am now much more impressed with what they do for our waters than how they taste. They are incredible creatures and like children often do, they make us more aware and kinder people to all and everything around us. And that’s a good thing. 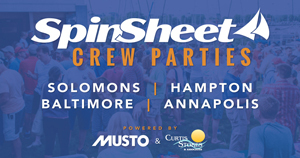 The author enjoys the beauty of the Chesapeake Bay with her boyfriend, captain Jordan Snyder, who is the vice commodore of the Pearson Sailing Association.